How close are we to printing replacement body parts? Three-dimensional (3D) printing, the technology used to turn a three-dimensional digital design into an object by depositing material one layer at a time, has taken off in recent years. 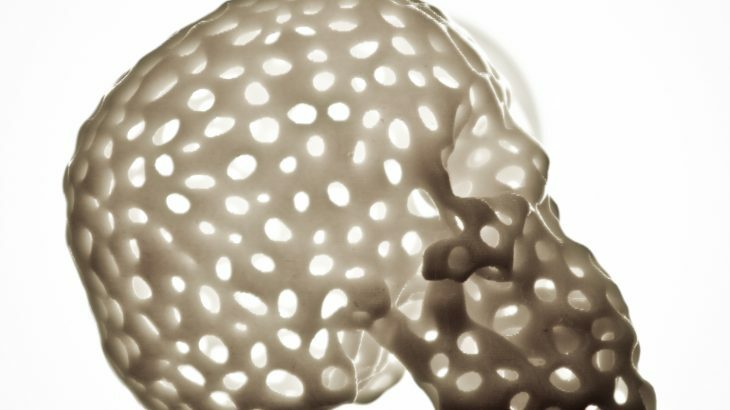 It now seems like almost anything can be 3D printed—shoes, airplane parts, houses—so why not print body parts too? It may sound like something out of science fiction, but to some extent, we’re already there. Doctors and researchers have successfully printed artificial implants for skulls, tracheal splints, and various bones, as well as prosthetic limbs. But when it comes to printing more complex body parts, we still have a way to go. Organs require specific cells to perform their functions and are more challenging to print. There are compelling reasons for working towards this goal—transplant lists are long and people are dying while they wait for a compatible donor. Not only would the ability to print organs help meet the demand, they could also be printed using the patients’ own cells, which would eliminate the possibility of organ rejection by the immune system. 3D bioprinting—printing with cells—is a relatively new field that aims to meet this challenge. Printing an organ is more complicated than just laying down the right cells in the right positions (which is, in itself, a challenge). Organs are made up of cells that interact with one another, grow, and change over time. Printing is only one step in creating an artificial organ—before printing, the correct cells (either the same type as the organ to be printed or stem cells) must be obtained and cultured, and after printing, the cells have to be grown into mature tissue. Cells are prepared in a “bioink”, made from a material that solidifies during or after printing, resulting in a 3D scaffold containing the cells. When an appropriate bioink is used, cells will grow, proliferate, and produce the proteins and biomolecules that make up the extracellular matrix that surrounds them in the body—meaning, in a sense, that they build their own home. So, if we can print functional tissue, why can’t we print an organ? In addition to the fact that organs are made up of many different types of tissue, which adds to the complexity, cells require nutrients, delivered through blood vessels, to survive and grow. Creating vascular networks throughout engineered tissue is an ongoing challenge. Researchers have developed many interesting methods to form these channels, like printing sacrificial materials that can be removed afterwards, but printing thick tissues is still a challenge. 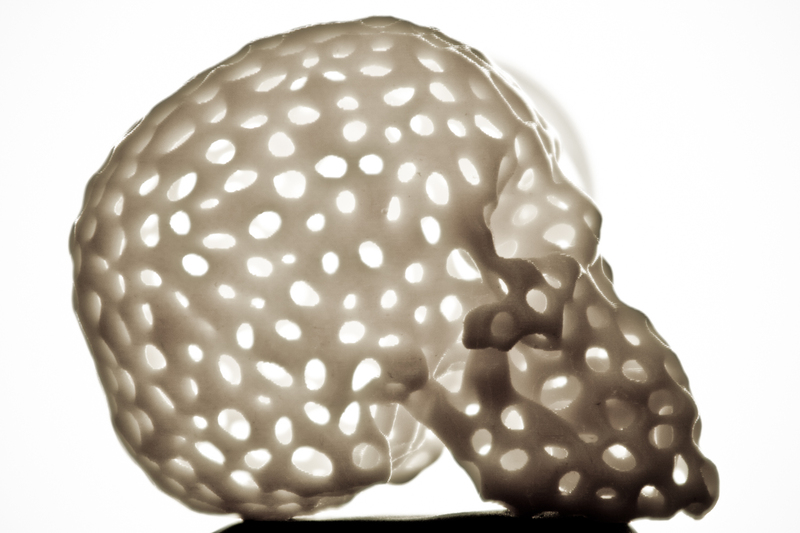 Researchers are also exploring other exciting applications of 3D bioprinting. For example, 3D printed tissues can be used as improved models for drug development. Instead of studying the effect of drugs on human cells in a 2D plate, 3D models of these cells can more closely demonstrate how the drugs might behave in the body, potentially reducing the cost, time, and use of animals in developing drugs. Another step on the way to organ printing likely involves printing tissue that can interface with, and help to heal, damaged organs. For example, a University of Toronto research team led by Alex Guenther has developed a handheld 3D skin printer. Canadian scientists have a history of success in the area of regenerative medicine, and Canada has a growing community of academic and industry researchers working in 3D bioprinting. 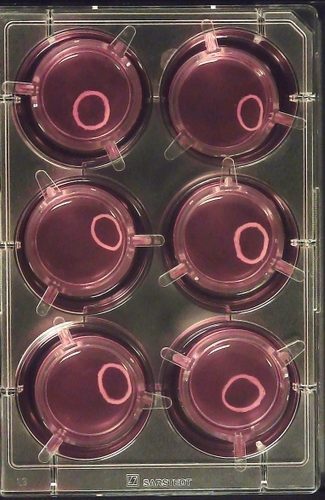 Aspect Biosystems, a Canadian biotechnology company, has developed a tissue model of the lung that simulates an asthma attack in a dish—a 3D printed ring of airway muscle tissue visibly contracts and relaxes when exposed to histamine and asthma treatment drugs. Aspect Biosystems is also collaborating with Johnson & Johnson on a project to 3D print a replacement meniscus, the cartilage in the knee. Stephanie Willerth and her team at the University of Victoria are working on 3D printing neural tissue to study how the brain and spinal cord work, how to heal spinal injuries and neural diseases, and to develop models for improved drug testing. 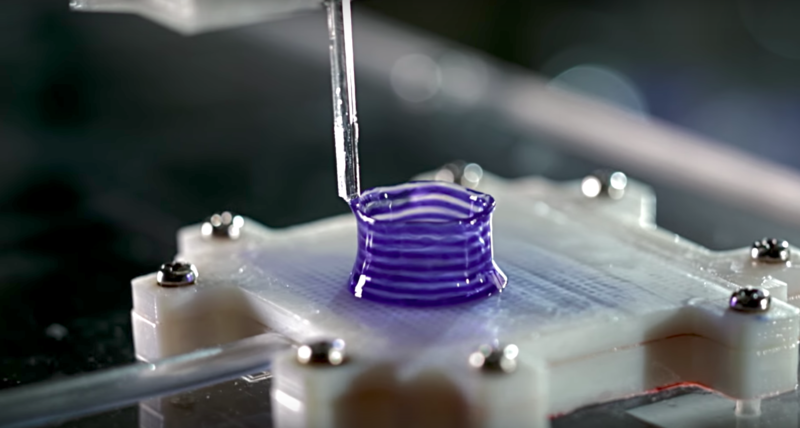 We still have a great deal of work to do before we can print replacement parts for people, but while we’re working on it, 3D bioprinting offers other exciting opportunities. Even if you never need a replacement part, your future healthcare will likely involve 3D bioprinting, as a tool for developing drugs, injury repair, or something else that hasn’t been thought of yet. Technology & Engineering 3D bioprinting, 3D printing, Alex Guenther, Aspect Biosystems, biotechnology, Erin Bedford, Johnson and Johnson, Stephanie Willerth, University of Toronto, University of Victoria. permalink. So you want to get paid for scicomm?